In the years surrounding the Second World War, a serendipitous confluence of events created a healthy balance between the market and the polity-between the engine of capitalism and the egalitarian ideals of democracy. Yet, from the 1970s on, a power shift occurred in which financial regulations were rolled back, taxes were cut, inequality worsened and disheartened voters turned to far-right, faux populism. Robert Kuttner lays out the events that led to the post-war miracle and charts its dissolution all the way to Trump, Brexit and the tenuous state of the EU. 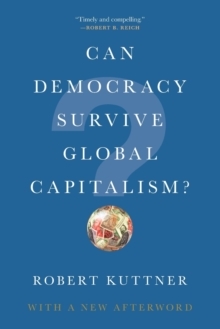 He asks whether today's poisonous alliance of reckless finance and ultra-nationalism is inevitable, and whether democracy can find a way to survive.